OPELIKA, Ala. – (Feb. 27, 2017) Lee County Sen. Tom Whatley on today received the Business Champion Award for handling legislation to regulate lawsuit lenders and bring fairness and stability to Alabama’s tort process. The award was presented to Sen. Whatley, R-Auburn, by Business Council of Alabama President and CEO William J. Canary and Chamber of Commerce Association of Alabama President and CEO Jeremy Arthur. 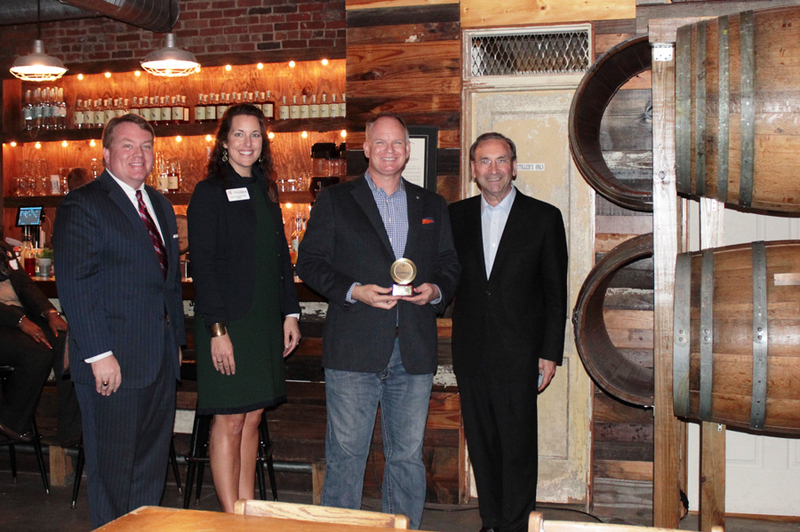 The award was presented during the Opelika Chamber of Commerce’s legislative reception held at John Emerald Distilling Company in downtown Opelika. Two bills in the 2016 legislative session – House Bill 395 and Senate Bill 67 – sought to regulate lending by companies seeking a share of any award in a plaintiff’s lawsuit after providing up-front cash. The lawsuit lending industry distorts Alabama’s civil justice system by targeting victims with “quick-cash” loans in exchange for a share of any award. Lawsuit lenders charge fees and interest rates that can exceed 100 percent of the amount provided plaintiffs up front. Tennessee has capped the interest rates charged on these loans. The Alabama Legislature should act to protect its citizens by requiring transactions to be defined as loans and be subject to consumer protection measures such as disclosure and transparency. “Lawsuit lenders should be regulated just as any other lender,” said Arthur. Lawsuit lending reform is on the BCA’s 2017 legislative agenda. Bipartisan majorities have passed a form of this legislation in the last two years but unfortunately a few senators have used procedural rules to stop reform efforts. The Business Champion Award recognizes legislators for sponsorship and support of policies that better Alabama’s business climate and the lives of employees, families, and citizens. 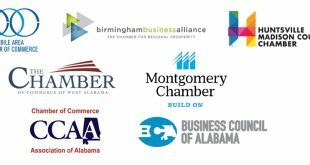 The BCA, Alabama’s foremost voice for business, is a non-partisan statewide business association representing the interests and concerns of nearly 1 million working Alabamians through its member companies and its partnership with the Chamber of Commerce Association of Alabama. The BCA is Alabama’s exclusive affiliate to the U.S. Chamber of Commerce and the National Association of Manufacturers.